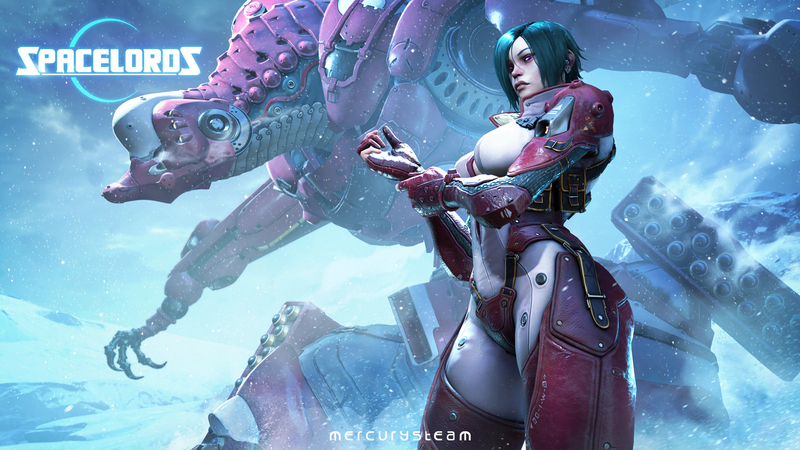 Spanish developer MercurySteam announced this weekend that its online action-adventure video game, Raiders of the Broken Planet, is being relaunched as a free-to-play title called Spacelords. The relaunch will take place on August 23. On the same day, the developer will release what was to be Raiders of the Broken Planet‘s fourth campaign (also for free), Council Apocalypse, which comes with four new missions and new character Valeria. We felt that Raiders only focused on one specific side of the battle for the Broken Planet: the Raiders. But this is about the Aleph, a mythical substance from the Broken Planet, a substance everybody wants – the Raiders, the antagonists, each of the invading human faction. All of them know that whoever controls the Aleph will dominate the universe as the ultimate Spacelord. So, the new brand is not going to change the game lore at all. Quite the contrary. Spacelords comes to embrace all of them – Raiders and antagonists – under one umbrella. DualShockers has tons of information from the event, which includes FAQs for existing and new players, so make sure to head over there for details.